Do you want to stand out in the crowd during St. Patrick’s Day and have a great conversation starter? 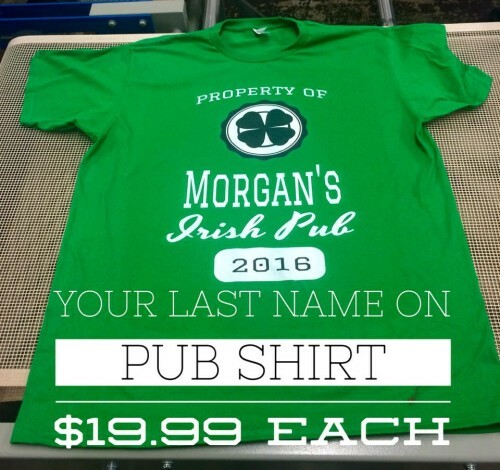 A Custom Irish Pub T-shirt with your last name digitally printed on the front will have the women drumming up conversations with you this St. Patty’s Day. Most crazy drunks wear the beer glasses, big green Irish caps and dorky green vests. You will be unique and women will think you own a Pub. The T-shirt is a light-weight 100% cotton t-shirt in Kelly Green. The imprint is on the front and reads” Property of “your last name” Irish Pub 2016. The shirt comes in sizes S-XXL and can be shipped anywhere in the United States. Please make sure your order this shirt at least 10 days before St. Patty’s on the 17th. Please check out the shirt on www.nwcustomapparelstore.com . The cost is only $19.99 each and shipping is $7.00 per shirt. You can also call us at 253-922-5793 at Northwest Custom Apparel. Way to go Seattle Seahawks! The Seattle Seahawks knocked off Green Bay to become the NFC Champions and head to their 2nd Super Bowl. Russell Wilson had a near perfect offense against Green Bay. 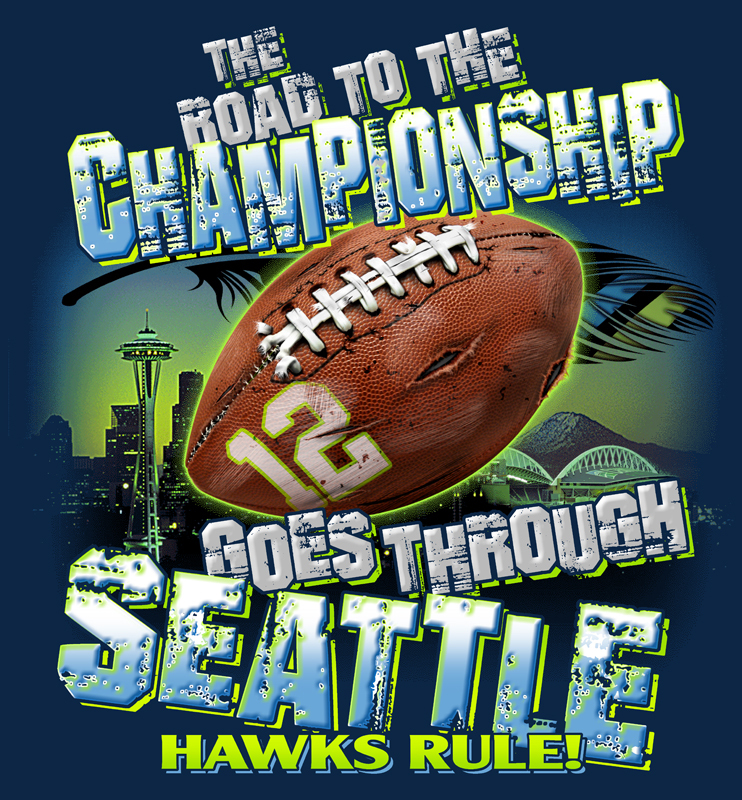 Northwest Embroidery is printing NFC Championship shirts on Monday: January 19th 2015. The design below is not the actual design. The NFC Championship T-Shirt will be released on Monday. The cost of the shirt is only $20.00. The Tacoma News Tribune will be running a special article about the printing and Northwest Embroidery. C.R. Roberts is the writer. The shirt is a Navy Blue 6.1 oz 100% cotton T-Shirt. Please stop in at Northwest Embroidery to purchase your NFC Championship T-Shirt. Coming from Seattle, please take the Fife/Milton (exit 137). Take a left and you will go back over I-5. You will then come to a light and that is 20th street (shell station on your left). Follow 20th street to the very end (base of the hill) You will see two buildings on your right. (There is a flashing reader board out front). Come to the 2nd building on your left (sales building) That is where they are selling the Championship shirts.